As we all should know, the very best relationships rely on a mutual feeling of being recognised, appreciated and respected. If one partner in the relationship starts to take the other for granted, respect is worn away and the relationship can quickly spiral downwards, becoming negative and destructive. This may seem common sense and yet many leaders forget that work relationships also rely on the need for appreciation and recognition. Too many businesses take their staff for granted and only give praise and recognition once or twice a year during an end-of-year celebration or an annual review. If leaders aren’t making staff feel valued on a regular basis but are instead giving the equivalent of a limp bunch of flowers on Valentine’s day, then it’s time to realise the importance of regular recognition for encouraging positive workplace relationships. If delivered correctly, recognition can achieve powerful results. Parents and teachers will often praise and applaud children’s efforts and results, such as when they feed themselves for the first time or manage to write their name. Positive behaviour is encouraged and as such, children quickly learn what is expected of them. As children grow up, the level of praise they were once showered with decreases until, as adults, regular praise starts to dry up altogether. It appears that adults don’t feel it necessary to recognise one another for a job well done and yet people’s need for respect and appreciation never diminishes. 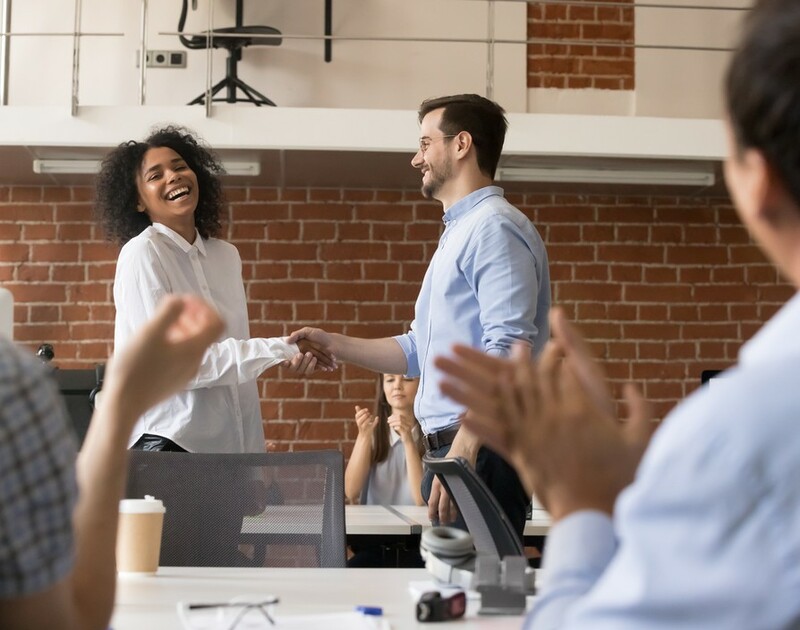 If leaders harness their employees’ desire for appreciation by saying “thank you” regularly and sincerely, impactful business outcomes can result. It’s been proven that appreciation causes powerful emotions in which the individual feels acknowledged and valued, not just for the work they do but for who they are and the talents they possess. And when people are effectively appreciated and recognised at work, this can improve engagement, inspire innovation and build loyalty. Research by The O.C. Tanner Institute has found that when leaders do not effectively communicate accomplishments, employees are 70% less likely to feel appreciated, 74% less likely to stay at the organisations, 42% less likely to be engaged and 46% less likely to promote their organisation. But recognition cannot be done occasionally and haphazardly if there are to be successful outcomes. (1) Ensure all business leaders appreciate the importance of recognition. If they understand why they should do it, it stands a better chance of becoming part of the business’s DNA and recognition will be delivered in a meaningful way. (2) Deliver frequent, timely and sincere recognition. It’s important to appreciate and encourage effort daily and in a genuine way. This could be via a simple handwritten thank you note or a more formal method of appreciation. (3) Encourage manager-to-staff, peer-to-peer and staff-to-manager recognition. An appreciative culture shouldn’t just be about managers saying thank you. (4) Make recognition values-based. This means that the values an organisation sees as being key, need to be recognised and rewarded to encourage repeat behaviour. Depending upon a business’s industry and goals, values deserving of recognition might include speed at resolving customer complaints, innovative suggestions and effective customer interactions. (5) Reward results publicly so people know how they, too, can achieve great work. This could be a formal presentation or it might just be a “congratulations” during an informal gathering of the person’s managers and peers. (6) As well as delivering daily recognition, make a big deal of career milestones starting with people’s one-year anniversaries. Help people see what a great career looks like. Focus on what has been achieved rather than simple longevity. (7) Consider investing in recognition technology which makes giving recognition quicker and easier and simplifies measuring, celebrating and rewarding success. In the same way that successful personal relationships are built on a foundation of trust, respect and mutual appreciation, leaders must also recognise the importance of building positive and appreciative relationships with their employees. A once or twice a year “thank you” is far from adequate and can leave employees feeling dejected and disengaged. And so leaders must put appreciation first. By doing so, they can expect an engaged, loyal and high performing workforce.